Pair of silver decorative lorgnettes. Lorgnettes consist of a spectacles front and a single handle on one side. 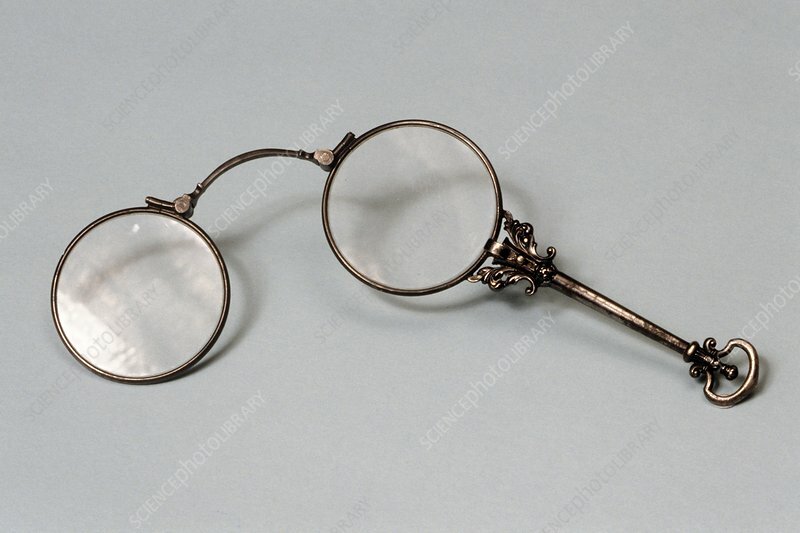 They were invented by English optical instrument maker, George Adams (1709-1772) in around 1770. These lorgnettes function to aid vision but were also fashionable accessories throughout the nineteenth century. This example is continental and dates from 1870.